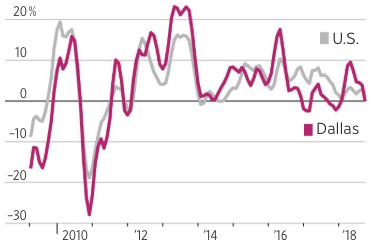 About two months after Bank of America rang the proverbial bell on the US real estate market, indicating existing home sales have peaked, reflecting declining affordability, greater price reductions and deteriorating housing sentiment. 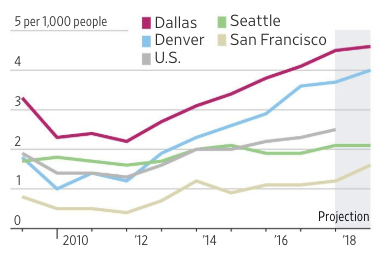 It now appears The Wall Street Journal has jumped on the bandwagon in calling the housing market top with a new piece that warns: "US Housing Boom Is Coming To An End, Starting In Dallas." 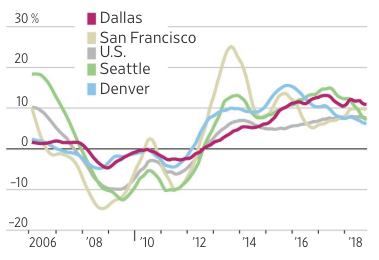 "Yet even with the booming growth, Dallas’s once vibrant housing market is sputtering. In the high-end subdivisions in the suburb of Frisco, builders are cutting prices on new homes by up to $150,000. On one street alone, $4 million of new homes sat empty on a visit earlier this month. Some home builders are so desperate to attract interest they are offering agents the chance to win Louis Vuitton handbags or Super Bowl tickets with round-trip airfare, if their clients buy a home. Yet fresh-baked cookies sit uneaten at sparsely attended open houses." On Zillow's website, the Dallas market is rated as "cold." Plano, McKinney, and Allen are each rated cold, as well, while Frisco is “very cold." "As mortgage rates rise, buyers increasingly look for less-expensive homes. That is pushing builders further out to the fringes in search of lower-cost land where they can try to build more homes priced at $300,000 or less. The median price for a new home in Dallas has dropped by some $3,000 this year compared with last year, according to Metrostudy, which suggests builders are building at lower price points. That can be a risky strategy after the heat has already started to come out of the market. During the last downturn, it was precisely those exurban neighborhoods that got hit the earliest and the hardest as buyers migrated back to more desirable neighborhoods when prices fell." "Dallas has been the “canary in the mine shaft” this housing cycle," said Paige Shipp, regional director for Metrostudy, a consultant to home builders. "Homes are taking longer to sell, bidding wars are rarer and price cuts are more common as buyers absorb the impact of higher rates." 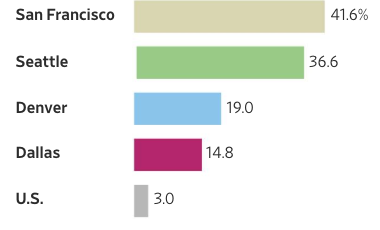 "The 20-city index of property values increased 5.1% from a year earlier, the least since November 2016, after rising 5.5% in the prior month, according to S&P CoreLogic Case-Shiller data released Tuesday. The median estimate in a Bloomberg survey of economists called for a gain of 5.2%. Nationally, home prices were up 5.5% from September 2017," said Bloomberg.